I won this book on Goodreads first reads, the beautiful cover drew me in and then after I read the synopsis I was really hoping I would win this one and get a chance to read what sounded to me like an exciting tale, and thank goodness I won cause this book was not just as good as I had expected...IT WAS BETTER! I found I had an understanding of both Victoria and Chris, and for me that made things a lot more intense. I understood Victoria's love for her dogs and her willingness to put them first knowing they needed her, David on the other hand I understood because my love of dogs does not extend to the outdoors he was more of an indoor guy and that makes sense to me. I liked how their relationship grew and how they eventually used each other to stay alive. I was very invested in these two and I was on the edge of my seat anxious for their nightmare to be over, and with every small victory I did a little jump for joy (on the inside lol). 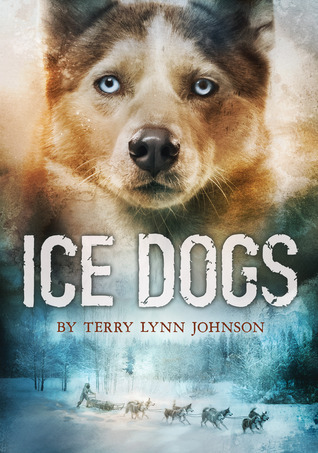 I loved the authors knowledge of Dog sledding you tell could tell she has been out there, done things and bonded with a beautiful pack of dogs. In a letter I received with my copy of the book I was told that some of these things had happened to Terry Lynn Johnson well what a brave soul she must be, I loved this story but I do not feel the need to experience this first hand, the vivid writing was enough of an emotional ride for me and I will be satisfied with that. There is so much more I want to say about this book but I really want people of the world to experience this wonderful, tragic, coming of age tale. I have to admit I cried a few times but that ending oh my did it get me so make sure you have the tissue close, if you have a heart that is. Loved this book and I know many many others will too I have already got my sister hooked and many others are on the way. Stephanie has read 69 books toward her goal of 100 books.